Yes, it’s true. 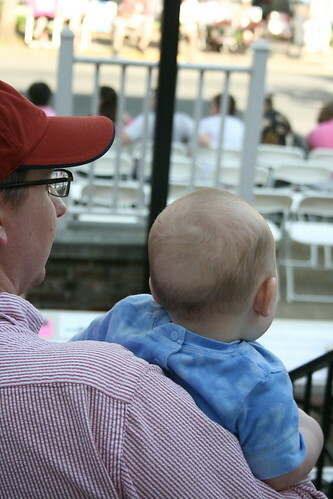 My feelings about parades notwithstanding, Baby Zeke, just under five months old, loves parades. We sat on the shaded steps of our church and watched all but about 45 minutes of nearly six hours worth of parades. Saturday night, he slept seven hours – five more than he usually goes between overnight feedings. Hey, maybe I can get used to this whole parade thing!